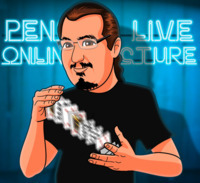 Today, when you order "Dani DaOrtiz LIVE", you'll instantly be emailed a Penguin Magic gift certificate. You can spend it on anything you like at Penguin, just like cash. Just complete your order as normal, and within seconds you'll get an email with your gift certificate. 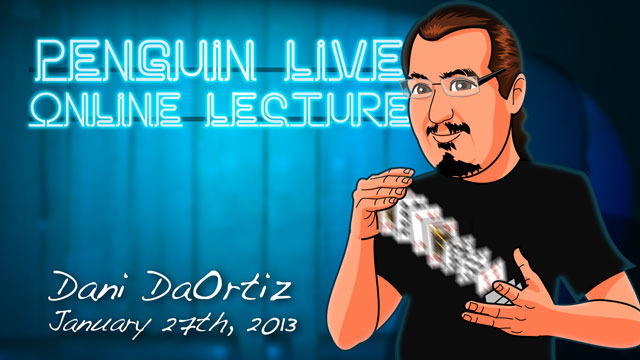 Dani DaOrtiz LIVE (Penguin LIVE) One of the most brilliant card magicians in HISTORY came to Penguin for an unforgettable THREE HOUR card workshop. SUPPORT LIVE MAGIC. DOWNLOAD THE FULL LECTURE TODAY. If you could ask ONE question to one of the world's most BRILLIANT card magicians, what would it be? If youve never been to a magic lecture, theres never been a better time. Sunday January 27th at 7:00pm, were live-streaming Dani DaOrtiz in a spectacular 2-hour interactive online lecture. Watch, ask questions and learn things you won't find in any book or DVD. Purchase the Dani DaOrtiz LIVE product. This is your ticket. On Sunday January 27th, anytime before 7:00pm Eastern, click the MyPenguinMagic area at the top of the Penguin site. Youll see the livestream appear 1 hour before showtime. At 7pm sharp, Dani will hit the stage and begin his JAM-PACKED professional lecture. Ask Dani DaOrtiz questions and discuss the tricks DURING the lecture. DON'T WORRY IF YOU MIGHT MISS IT. I THINK DA ORTIZ IS THE BEST CARD MAGICIAN AROUND THE WORLD IN THIS MOMENT. EXCUSE MY ENGLISH BUT I WANT THE PEOPLE KNOW HOW GOOD IS HIS MATERIAL. ENJOYING YOUR SELF ENTERTAINING THE OTHERS ...HI EXPLAIN VERY WELL HOW TO DO IT. I HAD THE HONOR TO LOOK FIVE LECTURE FROM DANI IN THE LAST YEAR AND EVERY,EVERY,EVERY TIME HI DON'T STOP TO FASCINATE ME. IN THIS LECTURE YOU CAN LEARN TIPS TO FORCE EVERY NUMBER EVERY CARD EVERY THINGS WITH TIMING WITH MISDIRECTION WITH YOUR BODY WITH YOUR PERSON.. 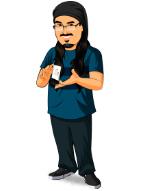 USING BASICALLY HANDLING AND A SIMPLE DECK OF CARD DANI SHARE SOME OF VERY VERY STRONG TRICK THAT YO CAN DO IMPROMPTU AND OF A PROFESSIONAL LEVEL . THE SIMPLICITY AND WHAT THE SPECTATOR FEEL IS THE BASE OF DANI'S WORK AND THIS IS A WINNER MENTALITY. ALMOST 3 HOURS OF FUN AND MAGIC.. I THINK AFTER THIS LECTURE YOU WILL GO STRAIGHT TO YOUR DECK OF CARD AND GO OUT TO PERFORM MAGIC AT EVERYBODY. You don't want to watch this Great, Exceptional, Memorable Lecture? I don't care... It's your life!!! The Dani DaOrtiz lecture was filled with plenty of amazing tricks that I will add to my routine but some of the best tricks featured in the video were not taught in the lecture, they were only performed. You should still get the lecture, it will still be great but if your favorite trick seen in the preview isn't taught don't be surprised! This was my first Penguin Live purchase and I'm not disappointed. This is an excellent lecture and Dani is a fabulous teacher. This is more than just tricks, his teaching on the Physcology of magic is very helpful. If you are a card magician then I would highly recommend this. I really enjoyed the lecture all the way from the beginning till the end. Dani has come and rocked from the beginning till the end. He was just bursting out some great effects and some great knowledge about how to deal with the effects and with a lot of psychology around tricks and audience management. He has taught us some great forces. It is real worth the money. I know I will be actually using some of the stuff because it fits to my repertoire. Don't hesitate and get this lecture, you will learn a lot of stuff. Just watched the first hour but i already know that it worth the purchase! powerfull routines and REALLY interesting teaching on psychology! There are really simple methods that are covered only by pyschology and presentation, and would be obvious without that. I got to se Danni's show & lecture at Magi Fest, & I never was really moved by a show or lecture, but this is by far the best I have ever seen! Dani is a genius! He goes over such great card material. ADD TO CART NOW! This is for anyone who wants to step up there card magic. One negative was the host I can't stand people who try so hard to be funny and really aren't. I've had this lecture for years and it is one that I keep coming back to for new ideas and inspiration. There are so many unique solutions to common card problems. And while his sleight of hand is exceptional, DaOrtiz really shines in the way he handles his audience to make them see what he wants them to see. His ACAAN routines are among the best I have ever seen, and his solutions are so much more simple that busting knuckles or doing sneaky setups... just start with a sloppy deck and play with the audiences imagination.